State Representative Jeff Keicher, R-Sycamore, has signed as co-sponsor of an amendment to the Illinois Constitution filed in the House of Representatives on Thursday that would take the process of redrawing legislative districts out of the hands of politicians in Springfield and instead establish an independent commission to ensure that districts are not drawn primarily to favor one political party over another. The amendment Representative Keicher has signed on to co-sponsor is HJRCA 10, introduced by House Minority Leader Jim Durkin, R-Western Springs. The amendment presently has 43 co-sponsors. If enacted, the amendment co-sponsored by Representative Keicher would be effective beginning with redistricting in 2021 and applied to members of the General Assembly elected in 2022 and thereafter. Proposed amendments to the Illinois Constitution require approval by a three-fifths majority in both the Illinois House of Representatives (71 votes) and the Illinois State Senate (36 votes). Recent citizen-led initiatives to put a Fair Maps amendment on the Illinois ballot have all been derailed. The first effort was initiated by the League of Women Voters in 2010, intended for the 2012 statewide ballot. With only modest funding, volunteer labor, and a late start, the process came to an end when it appeared unlikely that enough signatures would be collected to put the measure on the 2012 ballot. A second effort, YES for Independent Maps, was launched in 2013, initiated by the group CHANGE Illinois. This time, by 532,000 signatures were collected from across Illinois. The initiative came to an end when an elections attorney for the Illinois Democratic Party, Michael Kasper, defending the current system, filed legal challenges. In a decision that kept the Amendment from appearing the ballot, a judge ruled the measure unconstitutional. Advocates of independent redistricting tried again in 2016. This time, over 560,000 verified signatures were collected. A series of legal challenges went all the way up to the Illinois Supreme Court, which ruled 4-3 to keep the Independent Maps amendment off the ballot. 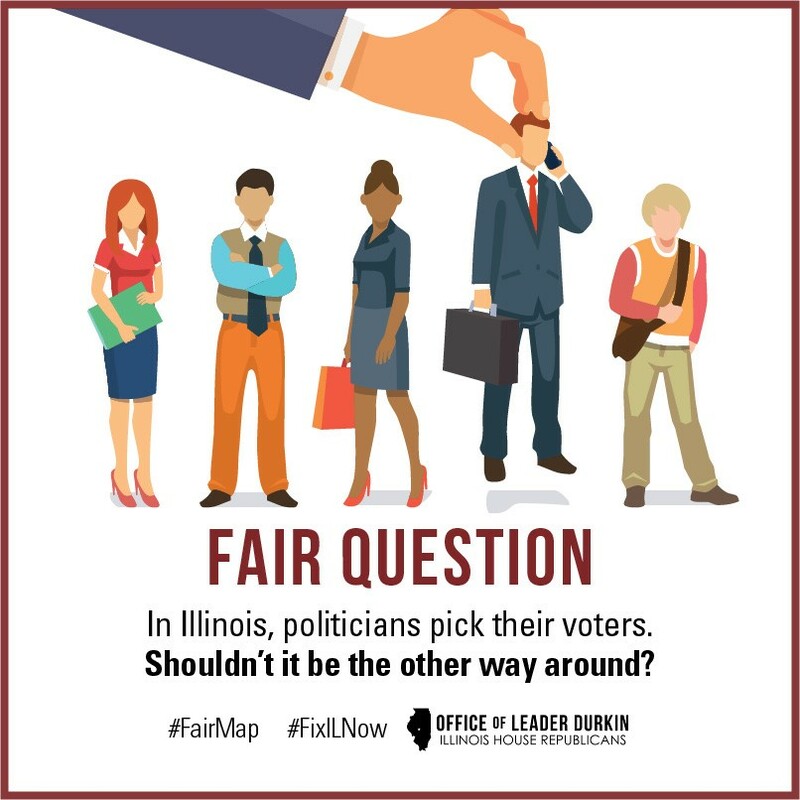 According to a poll from the Paul Simon Public Policy Institute, 72 percent of Illinois residents, including a majority of both Republicans and Democrats, support the creating of an independent commission to draw legislative district maps. Constituents who wish to sign an online petition in support of Independent Maps can do so by visiting Representative Keicher’s website at www.repkeicher.com. For questions or more information, please contact Representative Keicher’s office at (815) 748-3494.